A storytelling wizard at his finest. 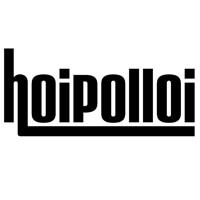 At the forefront of artistic innovation and social change, British theatre company Hoipolloi creates theatre that is funny, touching and imaginative. The multi-award winning creative mastermind of Hoipolloi is Shôn Dale-Jones. Now, for the first time, he’s coming to Wollongong, challenging our sense of reality with two incredible works of storytelling. Played in repertory, you can see one or the other, or both! The Duke weaves together the tragi-comic fate of a family heirloom – a porcelain figure of The Duke of Wellington, the quandary of a scriptwriter stretching his integrity, and an unfolding disaster as thousands of children flee their homes. Winner of the Edinburgh Festival’s most coveted award – a Fringe First, this sincere, playful show blends fantasy and reality, gently challenging our priorities in a world full of crisis.